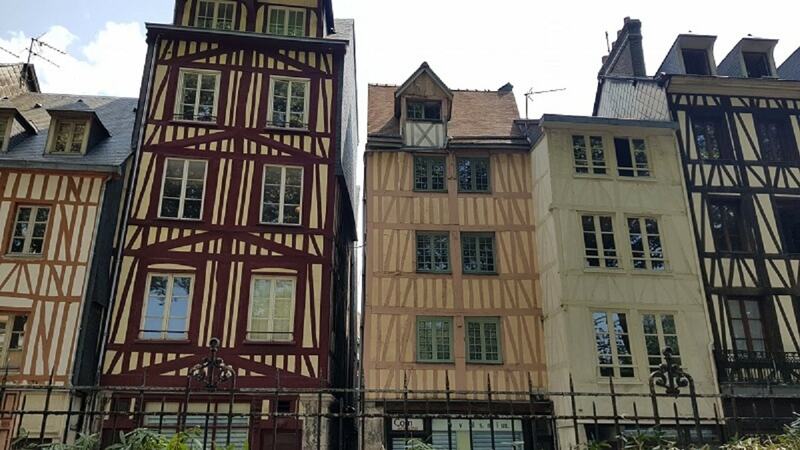 Rouen is the capital of Normandy in France, so here is your guide on the top things to do in Rouen, perfect for if you've just got a day in the city.. Recently I went on a trip to Normandy France with Bradley and my parents. It was different for us because we weren’t “travelling”, and what I mean by that was, we were relaxing, playing games, sightseeing, and doing no work and had no wifi. It was a much needed break and if you want to relax, the Normandy countryside is the perfect place to do it. 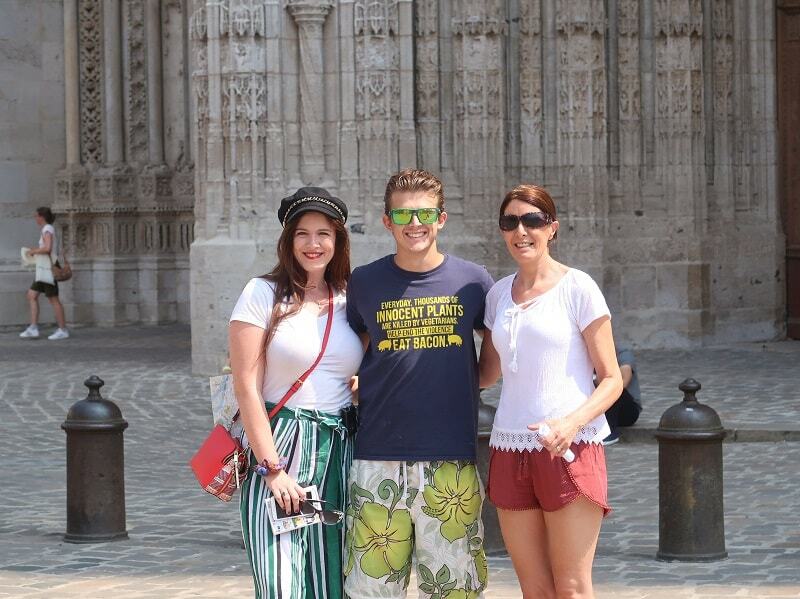 During the course of 6 days, we went to visit Rouen, which is the “capital” of the Normandy region . This is probably one of my favourite cites as it has the perfect blend of modern and old. So, if you find yourself in Rouen, I’ve put together some top things to do in Rouen to get you started! When is the best time to visit Rouen France? Well actually all year is a great time to visit France in general, but it depends on what you’re looking for. 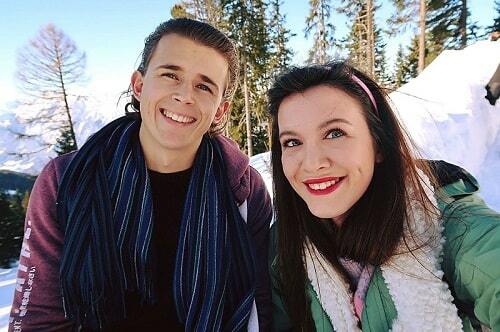 If you seek heat and sunshine, then head in the summer months, which tend to be busier, or if you want snow and Christmas markets, then winter is a great choice! How long should I stay in Rouen, France? Rouen, France is perfect for a city break. I would recommend around 2 or 3 nights. It’s also a great place to visit on day trips from Paris, or other areas of Normandy. I only spent a day there, but I didn’t get to do everything, so I definitely think a couple of days is a good option. Plus more time to eat all the amazing French food! You can get to Rouen via car from the UK thanks to lots of frequent ferry crossings from Dover to Calais. Or, you can fly to an airport in the Normandy area and transfer. Since flights to Paris are quite cheap during the year, you could also fly there and hop on the train to Rouen from there! Trains leave frequently. Where to stay in Rouen? We didn’t stay in the city. We actually stayed just a 40 minute drive in the countryside in the world’s most beautiful airbnb to date. You can check it out here. This place is amazing value for money, and if you have a car, you need to stay here. It’s the most well put together airbnb I’ve ever been too, and look how pretty! If you want you can use our sign up code to get some money off too. PS, don’t worry if you already have an airbnb account, sign up with a different email address and card and you can get the discount! You can use booking.com to search for good value properties in Rouen too. There are some great hotels in Rouen for you to stay! I’ve rounded up my favourite budget, mid-range and luxury options! Le Carrel Saint Marc: This great apartment is stylish, modern and equipped with everything you need for a comfortable stay in Rouen. It’s also centrally located and offers city views. 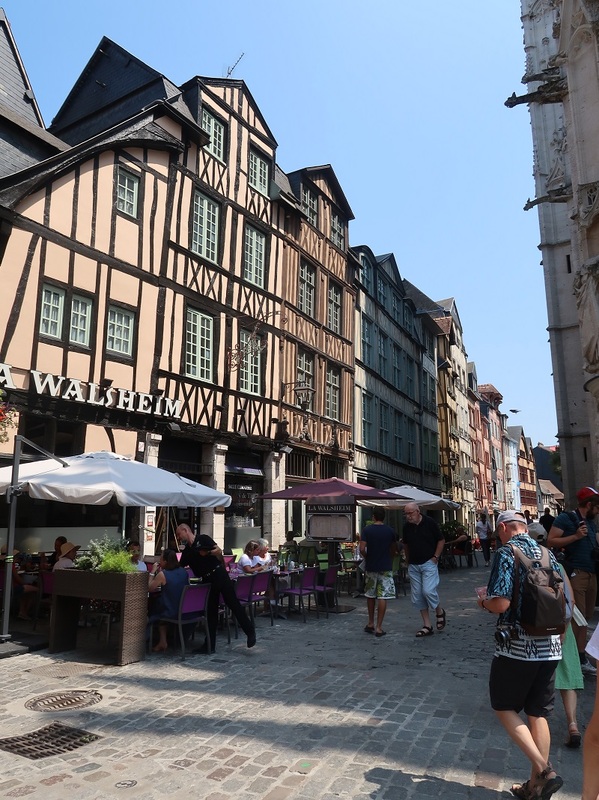 The Comfort Hotel Rouen: If you’re looking for basic, comfortable and clean accommodation in Rouen, then this is a great choice. Just 5 minutes from the historic centre and breakfast is available at the property. Les Initiés: Located in the heart of the historical centre, this property offers beautiful and comfortable rooms at a decent price. Breakfast is also included in the room rate! Hotel Dandy: I really like this hotel for its unique design inside which is very French style. It’s located in the historic centre and breakfast is included, and you can have it in bed if you wish! 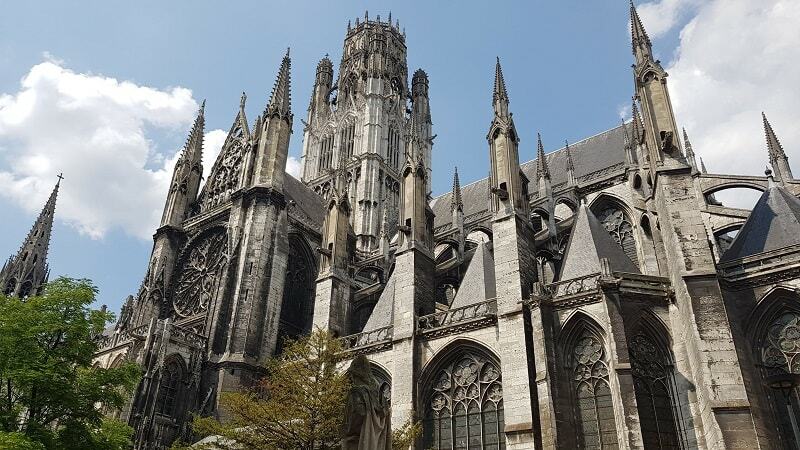 Mercure Rouen Centre Cathédrale: Fabulous hotel located in the centre of Rouen, meaning all the great sights are within easy reach. The rooms are beautifully decorated and a wonderful onsite restaurant. BEST WESTERN Hôtel Littéraire Gustave Flaubert: Sometimes you can’t go wrong with a good Best Western. In a good location and featuring beautiful rooms, balconies with city views, and an excellent breakfast, I think this make a great choice. Let’s get right to the top things to do in Rouen. Before I went, I had researched a few things I wanted to see, but I recommend heading straight to the tourist information centre and get the map. There is a 2 hour walking route available which takes you through all the historical and modern sights that has to offer, but here are the highlights. This is probably one of the most significant things to do in Rouen. This cathedral is ridiculously old (We are talking 12th century) and beautiful. It’s free to enter and you’ll want to bring your camera. The great thing about most of the old buildings in Rouen is the gothic architecture. It’s my favourite form of building, and they do it so well. This is again free (yay! ), but this is without a doubt one of the most magnificent churches from the outside (and inside) that I have ever scene. The detail in the architecture is mind-blowing and it’s just so beautiful. When you walk around inside, it looks like it’s something the Volturi should be in (yes, it’s a twilight reference, but you’ll see what I mean). 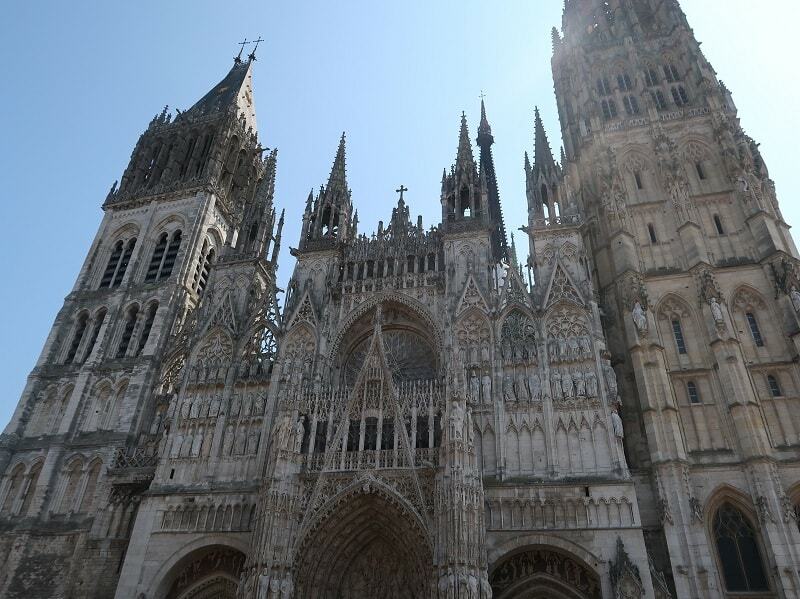 It’s very grand and beautiful and should be on your list of places to visit in Rouen, France! Friends fans, rejoice! 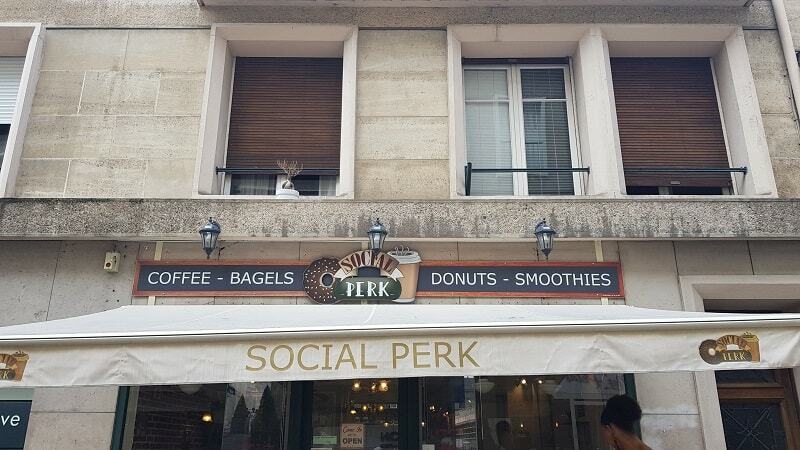 There is a cafe in Rouen that’s based on the friends cafe! The logo is cool and they serve you coffee in big mugs, just like the show, but it’s not a complete replica. 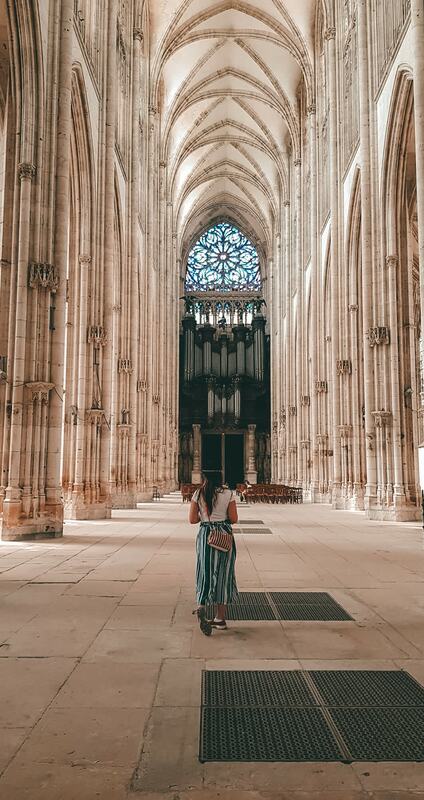 Ps, you don’t need to be religious to appreciate the magnificence of these buildings, but if you are, then there are plenty of opportunities to light candles to various different saints. Yes, another church, but this one is also cool. You remember Joan of Arc?, Burnt at the stake, wild history, well this is a boat shaped monument that was built to honour her. She was actually burnt at the stake in Rouen by the English on the 30th of May 1431. 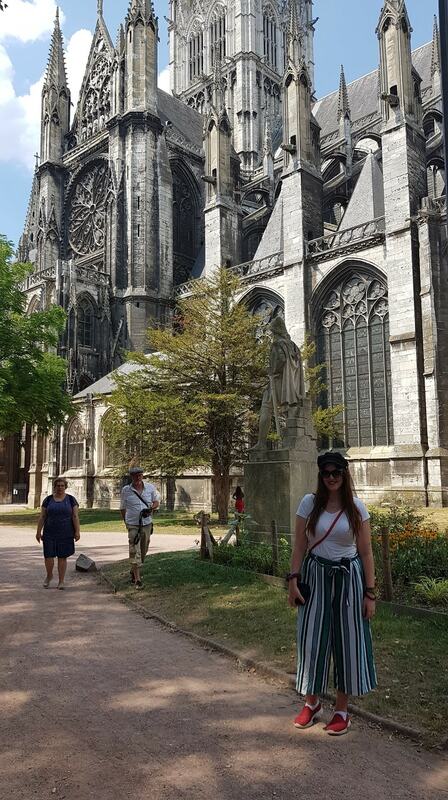 So to be in the place where it happened in the history books is quite significant and worth it's place on the top things to do in Rouen list. 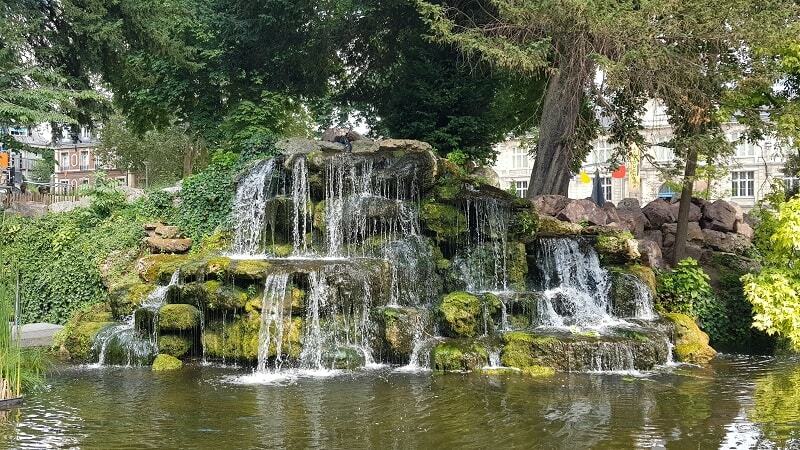 There are actually a few beautiful gardens around Rouen, some botanical and filled with amazing flowers and water fountains. I suggest you simply wander and see what you come across. Jardin des Plantes de Rouen is the best one as it’s got plants from 5 continents, and a boating lake, (you can have a notebook moment). When in France you should always aim to eat around 12-2. This is because it’s the best value. In Rouen you can get a 3 course meal with a drink for around an average of 15 euro around this time. If you don’t want the set menu, then I would expect to pay around 14 euro for a main course. The set menus usually give you different options, and are always the best value choice. Make lunch time your big meal, like the French do! If you don’t want to dine like the French, then you’ve got your typical fast food outlets available including Subway and Burger King, but you’re in France...so come on! I say this because I think it’s a good idea to get a little lost in most cities, and Rouen is a city in which this is possible. You won’t get lost and as you wander you’ll find lots of amazing buildings and unique sights (there is an old dungeon tower with an escape room built into it! ), and you can see all the beautifully old (and painted) houses along the streets. It’s really a beautiful area. Plus, you may wander into the shopping street in which you can search for souvenirs, or simply treat yourself! So there you have it, that’s my list of the top things to do in Rouen, especially if you’re only there for a day. There really is much more you can do and see such as many museums, but it wasn’t that sort of trip for us! Let me know if you’ve been and what you thought. Need Great Value Tours In Rouen?